Tokyo (AFP) - A team of Japanese animators and engineers on Wednesday unveiled plans to build a moving 18-metre (60-foot) tall Gundam robot, in a nod to millions of science fiction fans. The "Mobile Suit Gundam" anime series first aired in Japan in 1979, and spin-offs featuring robots locked in intergalactic battles have won legions of enthusiastic fans in Asia, Europe and elsewhere. 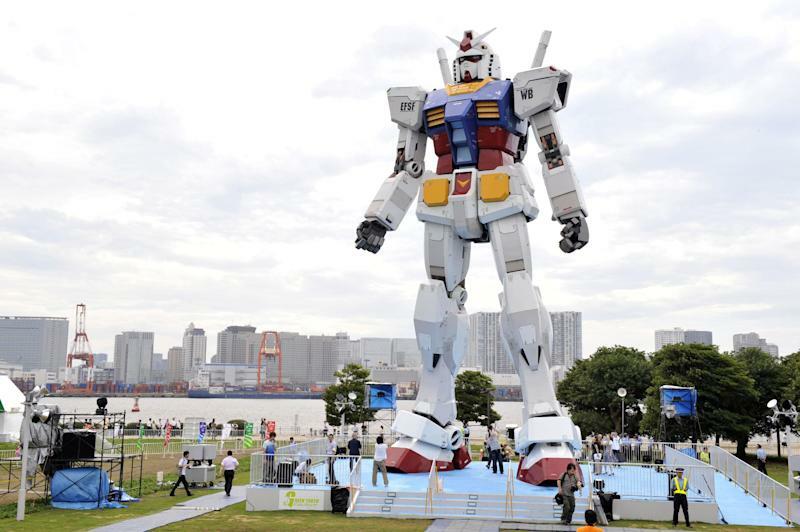 In 2009, the 30th anniversary of the show saw an 18-metre-tall Gundam statue erected in a Tokyo park. "When I created Gundam 35 years ago, I used my imagination freely because it wasn't real," Yoshiyuki Tomino told reporters in Tokyo Wednesday. "That is what creativity is for -- when you dream of something. Four decades later, Gundam is growing into something new." Now, the plan is to give a new giant Gundam some moves, and organisers are calling on the public for ideas about how to make it happen. Plausible suggestions would be used in constructing the robot by 2019, the series' 40th anniversary and a year before Tokyo hosts the Olympic Games.